Runners and patients in general have the most problems with either an arch that is too high and rigid or an arch that is too flexible and flat. In the rigid high arch foot the ground reactive forces are not handled well. They are generally but not always supinators in their walking and running gait. This leads to more shock transmission into the foot, ankle knee, hip and back joints and soft tissue compartments. Often these runners develop shins splints on the outside leg muscles. Planter fasciitis can develop because of the tight arch. In the flat flexible foot there is not good medial column support so forces tend to affect The inside or medial foot structures like the posterior tibial tendon in and medial shin splints. It is very common to have medial foot pain on the bottom inside of the heel associated with plantar fasciitis. Sometimes patients will ask me why are they are not considered supinating if they wear the outside of the heel of the shoe but the strike on the outside is because they pronate or roll in too much and are compensating with the outside he’ll strike pattern. Foot orthotics are generally designed differently for these two types of situations. Good running orthotics have an extra deep heel cup to hold the foot in a corrected position. In the real flatfoot I try to use slightly stiffer materials because we are trying to hold up an arch that might also be associated with someone that is in the middle weight or heavy weight category. At Arlington foot and ankle we design soft cut outs and pressure spots like right under the heel or under the forefoot if there is an associated neuroma or painful metatarsal. A rigid foot often requires a a softer slightly more accommodative orthotic that can help open to dampen the shock. These are general rules however. Runners and patients are like Goldilocks and the three bears choosing The orthotics materials that feel just right underfoot. 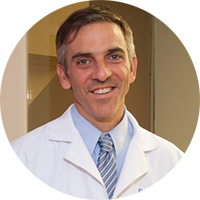 Dr. Pearl has extensive training and biomechanics spending over 10 years participating in a biomechanics lab at the National Institutes of Health and his ongoing education in running clinics. 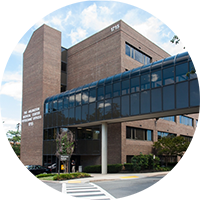 You can schedule an appointment with Dr. Pearl for your specific needs at 703-516–9408.